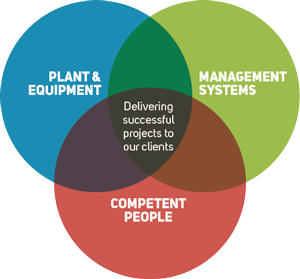 P W Well Services Ltd’s overall goal is simply to deliver successful projects to our clients. To achieve such a goal our business model is all about managing the risks associated with our operations and activities. 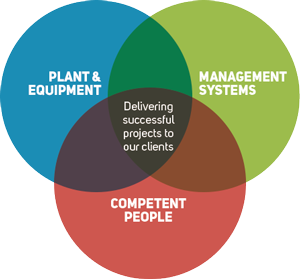 Our work is conducted in what is considered a high risk environment, so we take a systematic and ongoing management approach throughout the lifecycle of a project. By effectively managing our risks with the interfacing of these three elements we can achieve successful outcomes which meet our client’s expectations. Suitable and sufficient barriers are required in well designed and maintained plant and equipment, or competency assurance and the application of our Integrated Management Systems at every life cycle stage. Using plant and equipment that is suitable, maintained and inspected onsite. Comply with applicable European Directives, Legislation and Regulations, best industry practices and manufactures instructions. Ensuring the workgroup is competent, having the combination of training, skills, experience and knowledge and the ability to apply them to perform a task safely. Delivering a living Integrated Management System that supports us managing the risks associated with our operations.